As Baptism marks the beginning of our life in Christ, we all were introduced to a Mission. Our goal is to call others and to become full participants in the Love of God, sharing in God's Kingdom both here and now, and that which is to come. We are a parish of the canonical Eastern Orthodox Churches within the jurisdiction of the Orthodox Church in America (OCA). Our parish demographics include persons from a range of generations and ages: infants and young children, young married couples, middle aged couples and individuals, and those of retirement age. The ethnic makeup of the parish consists of a varied background made up primarily of either Eastern European descent or Western/Northern European descent. Services are in English. 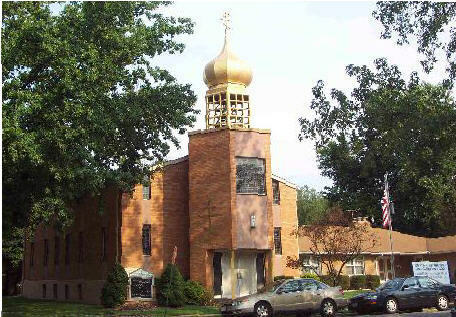 In 1900, the seeds of the Orthodox faith were planted in the city of Madison, Illinois by immigrants from Austria-Hungary, Galicia, Carpatho-Russia, Russia, and Ukraine. Prior to this, in 1899, Fr. Stepanov of Cleveland, Ohio was the first missionary priest sent to Madison. He heard confessions and celebrated the Divine Liturgy at the home of Stephen and Martha Sawchuk, on 1017 Madison Avenue. In 1901, Archbishop Tikhon, Archbishop of the Russian Orthodox Church in America, visited Madison and agreed that the faithful should collect funds in order to build a parish building. To help this cause, Archbishop Tikhon himself donated money, the Gospel Book, and the bell, which is still used today. Archbishop Tikhon later returned to Russia, where he became patriarch of the Russian Orthodox Church. He subsequently died in prison as a confessor for the Faith during the Russian Revolution and is now venerated as a saint of the Orthodox Church. On February 16, 1902, Archbishop Tikhon delegated the Very Rev. Fr. John Kochuroff from Holy Trinity Cathedral in Chicago to bless the newly built parish building. Fr. 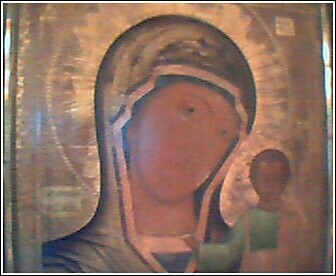 John donated a processional icon of Mary, the mother of God, which remains in the northeast corner of the nave to this day. Fr. John later returned to Russia, where he was martyred during the revolution and is now also venerated as a saint of the Orthodox Church. 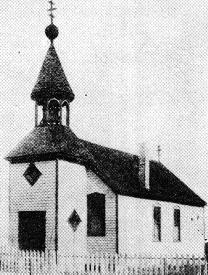 In 1903, Madison and the surrounding areas where flooded by five feet of water, and the church building was moved approximately one foot. The parish was served by missionary priests in its early years, but beginning in 1905, when the first rectory was built, permanent priests were assigned to the parish. The parish has its own cemetary, eleven acres in size, located on Highway 157 at the junction of Interstate 270, which is commonly called Sunset Hill. This lot was purchased in 1924 and dedicated on May 30, 1925 (Memorial Day) by His Eminence Archbishop Leonty. Previously, the parish had a small cemetary near Wood River, IL. However, due to the distance from the church and the added appeal of Sunset Hill, this cemetary was sold and the present one purchased. In 1948, the Very Rev. Fr. Prokopy Powers and Mrs. Agnes P. Fryntzko organized and implemented a religious education program. As early as 1950, the Right Rev. 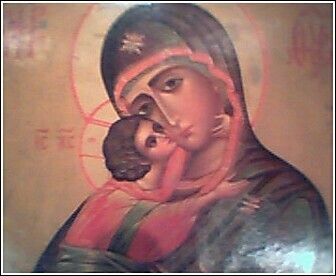 Prokopy Powers envisioned the need for the use of the English language in the Divine Services of the Orthodox Church in America. He was instrumental in introducing this practice into our parish worship services in 1952. His foresight enabled the parish to attain its present solidarity and visibility, utilizing English as our official language. Being a growing community and realizing the need to expand, the parish activated a building program under the Heiromonk Rev. Fr. Theodosius Lazor (now retired after serving many years as a bishop and metropolitan of the Orthodox Church in America). After assessing the situation, it was decided to build on the present property and purchase additional adjoining property on which to erect a new church edifice. On our 62nd Anniversary, September 23, 1962, ground was broken to begin construction of our new church. However, it was not until Pentecost Sunday, June 21, 1964, that the actual construction was begun. On the first Sunday of Great Lent, the Sunday of Orthodoxy, March 14, 1965, the parish met in the old church for the last service, a service of Thanksgiving (Molieben). Then, as the faithful came to receive the blessings of the parish priest, they were given an article to carry to the new church. After the entrance prayers, the ribbon was cut, the door unlocked, and the triumphal entry was made. After a small service of blessing, the first Divine Liturgy was celebrated in the new church. Many people rejoiced by partaking of the Sacrament of Holy Communion that day. The newly re-elected officers of the parish council were installed. A tea was served in honor of the occasion. On Sunday, June 6, 1965, the Holy Altar was consecrated and the church dedicated and anointed with Holy Chrism by His Eminence Archbishop John of Chicago. Holy relics of St. John the Russian, New Confessor, were placed in the new marble Altar. The late Protopresbyter Alexander Schmemann (+ Memory Eternal), former Dean of St. Vladimir's Orthodox Theological Seminary, was the guest speaker at the Consecration Banquet. On Sunday, September 10, 1972, seven years after the consecration of our church, the faithful again gathered to celebrate "the burning of the Church Mortgage" and the "Ground-breaking Service" for the proposed new rectory. This completed another milestone in the history of the parish. The new parish rectory was completed in time to be blessed by His Eminence, Archbishop John, during his visit with us to commemorate the feast of our patron (The Nativity of the Theotokos) on September 9, 1973. In the spring of 1988, the rectory mortgage was retired and a "Rectory Mortgage Burning Luncheon" was held at the Madison Recreational Center on Sunday, October 2, 1988, to express another milestone in the history of the parish. While there is much within the history of Nativity of the Virgin Mary Orthodox Church that is not written here, we cannot stop now to look back on our accomplishments. Rather, we look forward to all that we have yet to do for the glory of God. By His grace, we shall let our light shine before all people, so that they may see our good works and give glory to our Father who is is heaven. (Matt 5:16). Amen!